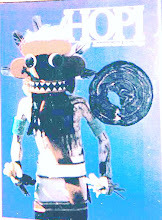 Hopi legend has it, that the Hopi peoples had to escape all the evilness that occupied the Underworld. A hollow Reed was used to escape to the surface. You might think this some sort of metaphor, but I have a pic of the petroglyph of the hollow Reed used. Also their is a petroglyph of a stock of Corn, next to the Reed. 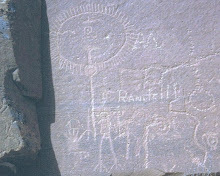 Symbols of a past, that has happen upon the Hopi while now on the surface of Mother Earth. 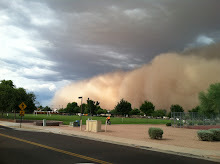 The evil that once forced the Hopi from underground, has now taken over the surface of the Earth. The Hopi peoples are being attacked by even their own leaders now. Hopi leaders that are more White than me, have succumbed to the evilness of the World and America leaders. 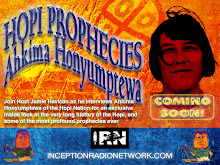 The best interest of the Hopi peoples have been long forgotten. As now the Hopi leaders feel they must sell off the Hopi water and coal, to generate power and financial gain for other non Hopi. Sad to see the Hopi peoples in much the same boat as the rest of America and the World. Look how the good folks of Greece said no to the banksters. Yet the Greece peoples leaders, denied the peoples vote and decided the bansters are more important than the citizens of Greece. You have the exact same thing happening to the Hopi peoples. Hopi peoples want free from their leaders, just like the folks in Greece do. Yet nothing seems to be getting done. The will of the peoples has been shoved away. The evil and greed has taken over the World, it would appear. And now here the World looks to a future of Slavery. The slippery slope to total enslaved masses is now in everyone's faces. The World's population is being treated as if they have absolutely no say in what the politics of a nation are. The Hopi people have no power over their elected leaders. Just as the folks in Greece are finding out now. Sad to see the good folks of Greece setting fires to their own countryside, but emotions run higher than common sense. Here in America, the citizens are given no real choices when they vote. Here is candidate Black and here is candidate White, both have been selected long before they even reached the ballot. No one in America wants another criminal named Bush or Clinton, because that is all these two are. They are common criminals selected by other even more evil criminals. 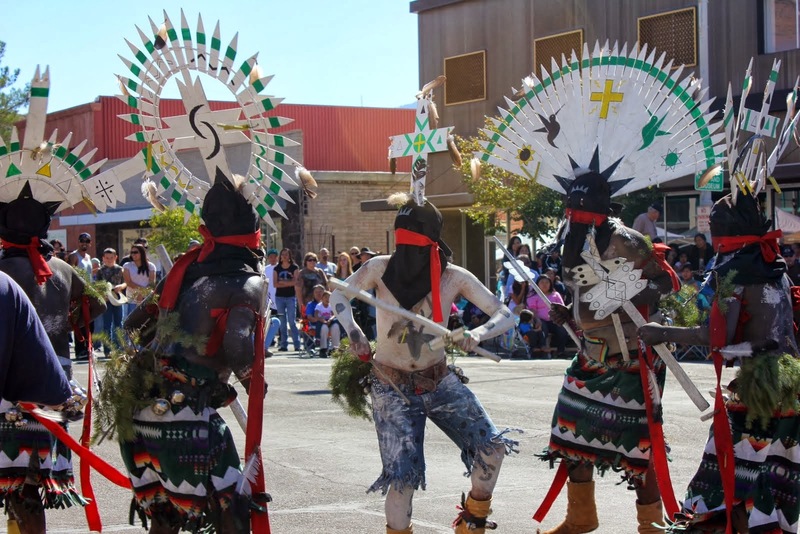 The Hopi peoples are now fast approaching a crossroad of their future. The same crossroad the Hopi faced in the Split of 1906 on Orayvi. The rest of the World faces now. Do the citizens of the World want to be enslaved or not? Does the World stand-up united as one? Is their any possibility of that now, with all the controls in place? It would most certainly appear as if the leaders of the World, see the awakening. How else could it be explained that Postal Department, IRS, and every other alphabet agency in America, now is sitting on millions of rounds of ammunition. Now just your regular military issued ammunition, but Hollow Point bullets that have only one use, to kill you.!!! Do you think the 'powers' ears have been to the ground? And they hear the rumblings of the enslaved who are about to be totally enslaved. You know that car that drives itself everyone is hearing about. It is part of your enslavement. It will limit where you can travel, and you thought the idea of the self driving car was for the citizens betterment, ha, ha, ha. It's all about control of the masses before they awaken, that is the Race now going on. Look at all the False Flag attacks now, one after another. "Time" is running out for the 'powers', take down that Confederate Flag, Slaves. The j$ws have ordered the citizens of America. All you need is a fake shooting at a church in the South by a White. How about shooting up some military recruiters, that will get the guns out of Americans hands. So that they can be rounded-up like cattle who are also unarmed. Kill the ones who resist, like a j$wish prophecy, about the White Slaves who do conform to their j$wish masters. The evil that occupies the surface of the Earth, has everyone fighting each other now. How else can a handful of soulless criminal control so many? The Recruiter Shooting, pits the White Christian against the Muslim radicals. The Church shooting, pits the Whites against the Blacks, Sandy Hook like the Boston Bombing, is all about Americans gun confiscation. All moving at a rapid pace now, as the 'powers' can no longer delay. Can you do, as so many have and pretend, nothing is going on? Do you buy more ammunition and survival equipment, just how do you prepare now? When your enemy could be a neighbor, a Muslim, a Black, a Hispanic, or anyone the controlled media has pitted against you and your kind. You know the NWO can protect you from all this, they can't wait to be your friend. Imagine everyone living under one "God" and one World leader. Great post. Did you get to see Ahkima this visit and if so, how is he doing? How are his corn crops doing?